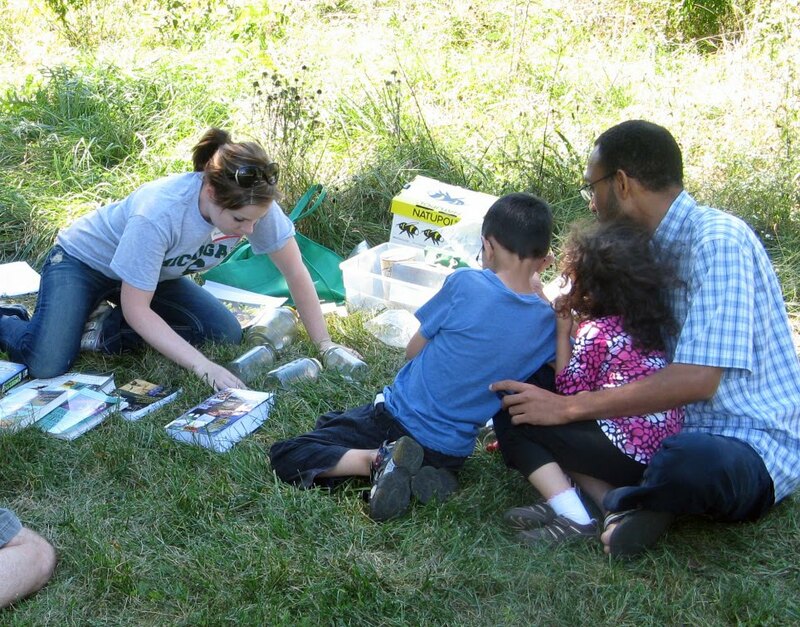 Our third annual “Kids See Pollinators Up Close” event at Buhr Park took place on Saturday, August 28, 2010, from 3 to 5 PM. 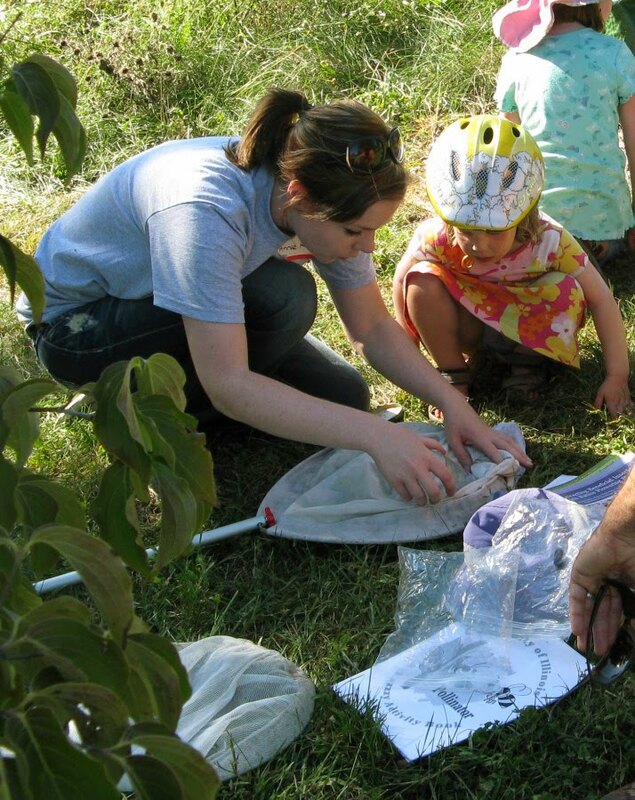 More than 20 parents, gandparents and children learned about beneficial insects. 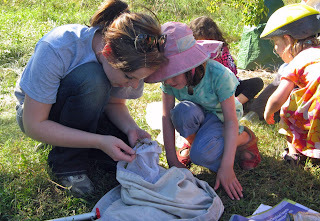 Children captured live insects for safe, up-close observation. (All were released at the end of the program.) We also talked about how to be safe around insects. 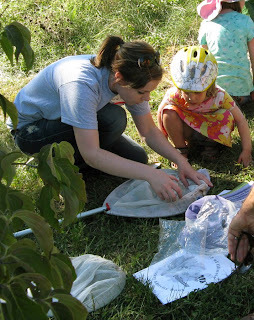 Our presenter this year was Annie Kirk, from the Berry Crops Entomology Lab at MSU. Kick grew up in the fruit-growing areas of West Michigan, and has recently co-authored an article on blueberry pollination in the Journal of Applied Ecology. The meadows were ablaze with wildflowers – prairie dock, stiff goldenrod and other natives are at the height of their annual display. Many beneficial insects were drinking nectar and were easy to observe. The event was co-sponsored by City of Ann Arbor Natural Area Preservation and Wild Ones – Native Plants, Native Landscapes. Thanks to Jeannine Palms for great photos.